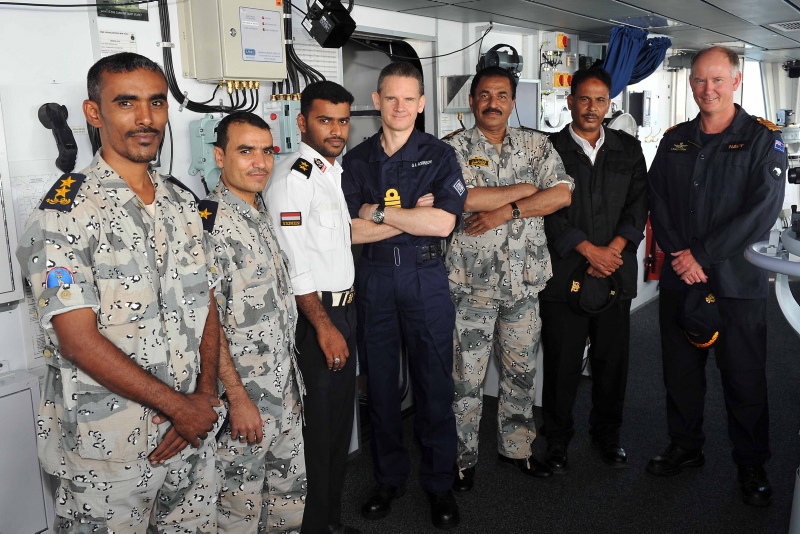 Yemeni Coast Guards recently embarked HMS Daring and HMAS Parramatta to observe maritime security operation Scimitar Anzac, conducted in the vicinity of the Red Sea and Gulf of Aden. Combined Task Force 150 (CTF-150) conducted this Scimitar Anzac to further ensure the safe, unimpeded passage of merchant shipping through this key strategic waterway. The routine focused operation is one of a regular series of maritime security operations conducted by Combined Maritime Forces (CMF) in the region. Scimitar Anzac also marked the first embarkation of a Command Task Group (CTG) on the British Type 45 destroyer, HMS Daring, which has recently joined CMF; a 25 nation partnership of naval and air forces operating to maintain stability and maritime security across the area of operations in the Gulf of Aden, Red Sea, Arabian Sea and Gulf region. 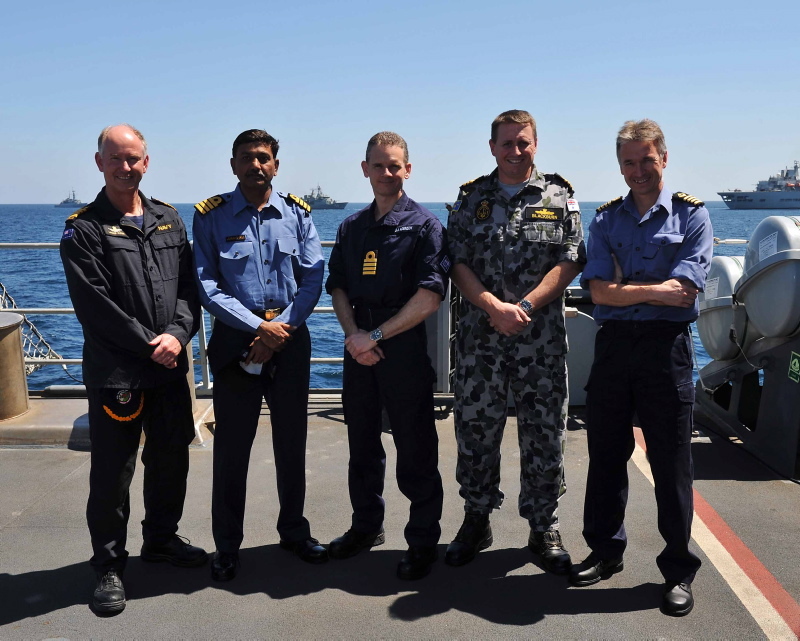 The command staff team embarked aboard HMS Daring and was led by Captain Lance Cook, RNZN, CTF Chief of Staff 150 and a comprised a small team of Australian and New Zealand Navy personnel. In addition to HMS Daring and HMAS Parramatta, Pakistan Naval Ship Babur and Royal Fleet Auxiliary Wave Knight also participated. 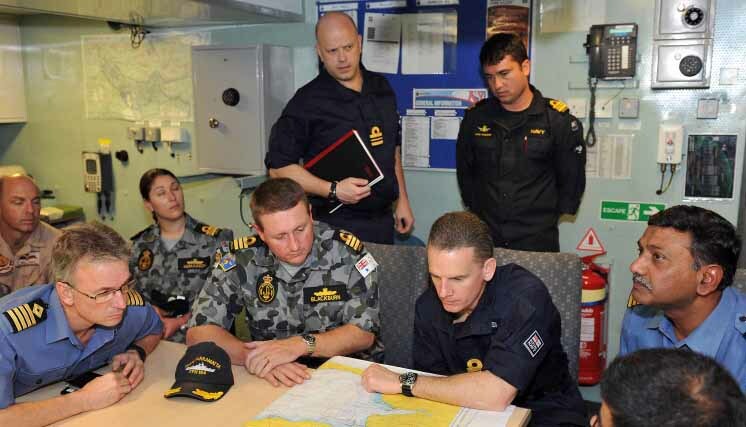 Focused Operation Scimitar Anzac additionally demonstrated the flexibility of the CMF with a U.S. Navy P3 Orion aircraft, which conducted support missions for the operation.